Good dog teeth care can prevent gum disease and dental problems for your dog. 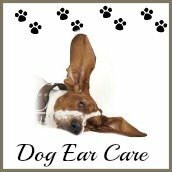 The biggest problem with dogs and dental work is that they have to be put under anesthesia, or at the very least under heavy sedation for the vet to be able to carry out any work, including teeth cleaning. This is both risky for them and expensive for us. Dogs can suffer from many of the same dental problems that we experience. Although many of us aren't too keen to visit the dentist, at least we don't need to be put out for routine cleaning and minor dental work (well, most of us) dogs on the other hand, do. The best way to keep your dog's teeth healthy is to keep an eye on them and know what to look out for. Oh, and I know you're just going to hate me saying it, but brushing your dog's teeth is simply the best way to keep those fangs in good health. Thankfully, there are a few alternatives to cleaning and we'll get to that! It's natural for the teeth to start showing signs of deterioration as they age, in fact, it's one of the biggest factors used by rescue centers when estimating the age of dogs in the shelter. You see, the condition of a dog's teeth can reveal a dog's approximate age. Up to the age of six anyway, past that it gets a bit more difficult. Why am I telling you this? Well, just so you know that you can expect some normal signs of aging on your dog's teeth, which I'll share that with you, along with a few things you don't want to see. So What's Normal and Not Normal Anyway? Your dog teeth care routine will mean you're going to need to take a little look at your dog's teeth and gums to make sure all is good. Of course, it's pointless doing this if you have no idea what to expect, that's why I wrote this page so you get a good idea of what's normal and what's a problem. Here's my dog's teeth (Ava) she has fairly good teeth, definitely within the 'normal' range but I DO brush her teeth regularly! But, before you start wading into your dog's mouth, if you have a dog that is likely to bite or snap at you then don't do this! At all. Leave it to your vet to check. Assuming your dog is OK with you touching her mouth, gently pull up each side of her lip, one side at a time, to expose the teeth and gum-line. 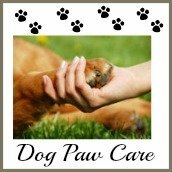 If you do have a dog that doesn't let you touch his mouth, or other areas, you may be interested in viewing some videos at Doggy Dan, The Online Dog Trainer. 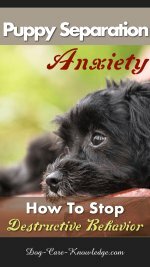 He has a wealth of information for all types of problems with dogs. 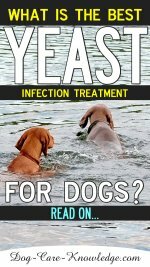 Click here to learn how these videos can help you and your and dog. Whether it’s aggressive behavior, fearfulness, toileting issues or disobedience, he has a range of subjects to suit all problems with dogs. The teeth should be white(ish) in color. If you see yellowish, grayish, or brownish gunk on the teeth, that's tartar. Once your dog is older than 1 year you're likely to see some buildup of tartar which is more noticeable by the age of 2. Once you see tartar building up, you really should be cleaning the teeth regularly! After the age of 1 year, you're likely see some signs of wear on the lower front teeth in-between the fangs. These smaller teeth are known as the incisors. You'll mainly see wear on the edges of the incisors known as the cusps. By the age of 1 and 2 years the cusps of the lower incisors will start to be worn and by the age of 3 and 4 the upper incisors cusps will start to be worn. 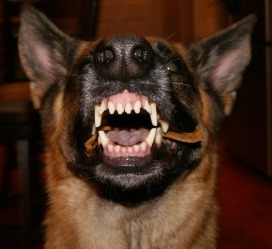 By the age of 4 and 5 the fangs (canines) will start to wear down and will begin to look blunted. 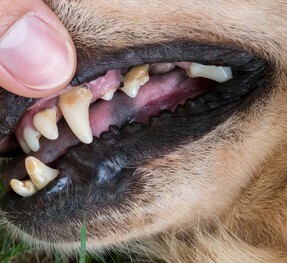 This is all normal signs of wear for a dog's teeth and nothing to worry about as long as it occurs naturally and slowly. As the teeth wear, a new layer is created on the inside of the tooth, known as dentin, which protects the tooth from decay. The only time it can be a problem is if the wearing occurs rapidly before the tooth can form the protective dentin. This usually happens when dogs obsessively chew on abrassive materials. Tennis balls are a frequent culprit of this which is why the condition is commonly known as Tennis Ball Mouth. You can find more information on Tennis Ball Mouth here. Good dog teeth care includes, and starts with, the gums. You want to see pink gums (not red and inflamed) but you may see black pigmentation on the gums which is perfectly normal. If the gums are red and inflamed instead of pink, you're probably looking at gingivitis. Run your finger along the gum-line to make sure there's no bleeding from the gums when you do so. Bleeding is definitely not good and is also a sign of gingivitis. Basically, anything outside of what I have mentioned above is not normal and should be investigated. I have a whole page on what's 'not normal' here on Canine Dental Problems but you can go directly to a couple of charts that will help get to the root (no pun intended) of the problem. Refer to this chart for signs of potential problems with your dog's health based on the color of her gums. And, you can find full details of how to recognize symptoms here. Without a doubt, the simple most effective thing you can do to avoid dental problems is regular teeth cleaning. Makes sense really. Can you imagine how our teeth would be if we didn't clean them regularly? Although it's not quite the same with dogs, they don't eat half as much junk as we do, but the principal is the same. Regular cleaning prevents problems. A good dog teeth care routine should include daily teeth cleaning, but at the very least, two to three times a week. 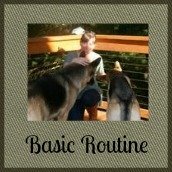 It's never too early to start, although puppy teeth don't need cleaning (they're going to fall out anyway) but it's good practice to get your pup used to the process while he is still young. 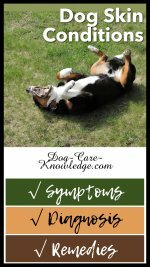 Before you begin, and as mentioned above, look for common signs of canine dental problems. If your dogs' gums are sore and inflamed, it will hurt to brush them so book an appointment with your vet before beginning your dental routine. Also, if you have a dog that is likely to bite you, don't try to brush his teeth! If you suspect he has dental problems, take him to your vet who will sedate him to check his teeth. 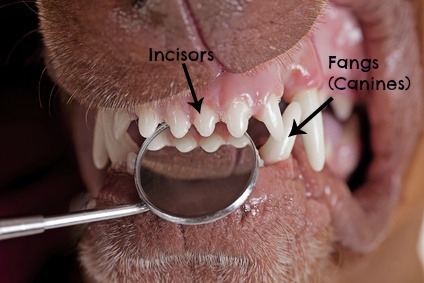 Any dog that is over three years old and has never had his teeth cleaned is likely to have some issues. Before you even begin brushing your dog's teeth get him used to the toothpaste, and your hand in his mouth, by putting a bit on your finger and rubbing this on the teeth. Go slowly at first and do this daily for about a week before you even begin to use the toothbrush. Now that you've determined it's safe to do so, let's get to how you clean your dog's teeth properly. Toothbrush – Find a soft one that is comfortable for you to handle. For small dogs or puppy teeth, use a child’s toothbrush. Toothpaste – Must be dog toothpaste, there are several brands available, see above. Use a soft toothbrush. You can buy one specifically for dogs or a human toothbrush works too, but only buy toothpaste made for dogs. Look for products containing a enzymatic ingredient or antibacterial action. Examples are CET Enzymatic Toothpaste or Petrodex. Place a small amount of toothpaste on the toothbrush. 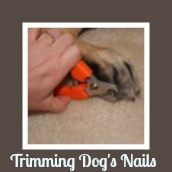 Lift the upper lip of your pooch, and brush in a circular motion on the top teeth. Once you finish the top, move to the bottom. Make sure you pay particular attention to the back teeth, (first large teeth in the back of the mouth) as these are the ones that collect the most tartar. 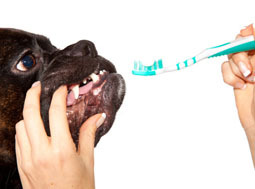 Brushing them alone will significantly help your dog's dental health. Also ensure you brush where the teeth meet the gum line for at least 5 seconds. Don't worry if your dog tries to chew on the toothbrush as you are brushing his teeth. Let him! This is OK as it can even help to brush the tooth more effectively. After reading these tips on dog teeth care, you may find it beneficial to watch a video demonstration as you are cleaning your dog's teeth. Here are some good visual instructions you can follow along to. Finally, Brushing your dog's teeth regularly is the number one thing that you can do to prevent dental disease in dogs. 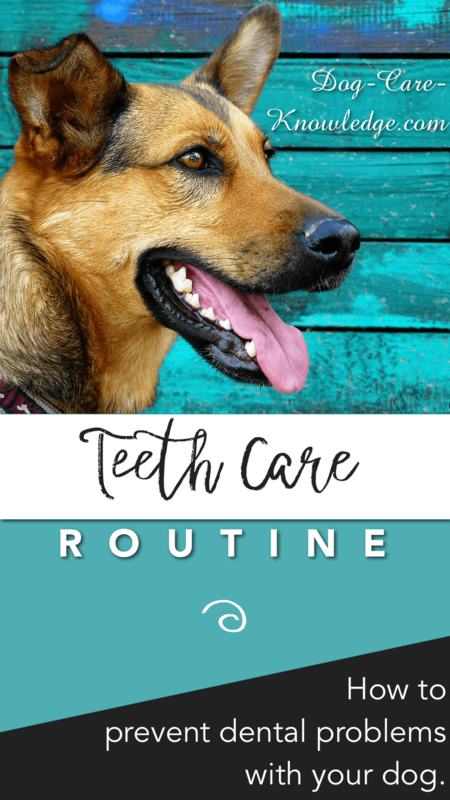 Dog teeth care can also be supplemented by providing your dog with approved treats and chews to help keep your dog's teeth in good condition. Don't forget, if you dog is likely to snap or bite you, then be very cautious with any of these methods. If this is a problem for you then I would hold off on the inspection and teeth cleaning and make sure you attend to any dog teeth care with non-evasive methods. That means, feed bones, use water additives, dental chews, oral sprays, and edible chews that have been proven to work to control tartar and plaque and good dog teeth care in general.